The founder of this publication, Patrice Greanville, and I made our way to the beginnings of the “activist” animal rights movement in the 1970s, believing it was an overlooked bastion of exploitation. Ignoring the intrinsic interests of our nonhuman family makes a mockery of social justice, as justice is indivisible. We eventually returned to our broader quest for an egalitarian ethos, but our hearts remained with the plight of oppressed beings. As we turned our attention to other moral imperatives, we weren’t about to leave our animal friends behind. HSUS’ tactical expertise is principally legislative, an area in which they set the standard for proficiency. For that and other achievements, we owe them a profound debt of gratitude. Questions remain, however, vis-à-vis the strategic soundness of their moral compass. This inexorably leads to the old incremental vs. abolitionist debate, which is hardly the crucial issue. Indeed, all social change is incremental. The salient question is whether a given step sets the stage for the next advancement toward ending speciesism, or does it in fact impede future progress by institutionalizing cruelty? In the Battery Cage Agreement with the United Egg Producers (UEP), it is axiomatic to any thoughtful person that HSUS woefully lost its way. 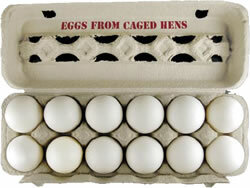 Without enumerating every detail, HSUS negotiated some cage and climatic “enrichments,” along with egg-carton labeling. In return, HSUS agreed to stop undercover investigations, ballot measures, state legislation, and litigation during the 18 year implementation period. HSUS and UEP are now imploring Congress to codify this agreement into law, confining many millions of hens to “enriched” cages in perpetuity, as the UEP has no further mandate or incentive to ever reach a cage-free end point. These hens will never know a day of freedom…not in 18 years, not ever. How in the name of sanity did we get here, literally settling for crumbs baked by the UEP at the expense of any hope for liberating hens from their heinous imprisonment. Having formerly headed an environmental ethics center affiliated with HSUS and knowing many of the principal parties involved in this agreement, I neither question their good faith nor doubt their negotiating skills in light of UEP’s intractability. It was the best they could achieve, but instead of walking away and relentlessly intensifying pressure on the egg industry, HSUS confused compromise with concessions. No agreement at all would have been infinitely preferable to forever condemning many millions of hens to confinement for life. Are those in healing professions not morally bound by the Hippocratic “do no harm” maxim, and yet HSUS incredulously continues to defend the indefensible. The 34 board members of the UEP consist of egg farmers, representing the collective voice of the egg-producing industry. Conversely, HSUS, absent the authority to represent any other organization, unilaterally signed on to this agreement as though “father knows best.” Who ordained HSUS as spokesperson for a diverse movement composed of several thousand organizations? What unmitigated hubris, as though might makes right. The French speak of sine qua non, an essential element, and is it not essential if one speaks for the movement that they represent the movement? It would seem so, but apparently not to our friends at HSUS. The central players in this tragic farce, however, are not HSUS’ leadership, but a broken movement that is largely paralyzed by passivity and myopia. Were it not so, organizations across the country would be looking in the mirror, not simply seeing the aforementioned limitations of HSUS, but also galvanizing a massive effort to defeat the ill-advised legislation—legislation that mortgages our core principles to expediency. HSUS didn’t steal our votes; we freely gave them away by proxy. If we are to criticize HSUS, let us not give ourselves a pass. We are granting to HSUS that which is not our right to grant: our solemn responsibility to protect those who cannot protect themselves. With a few notable exceptions, our movement’s unconscionable silence speaks to our complicity. We claim to be the voice of the voiceless, but who is speaking for the hens whose freedom and future were negotiated away? Even traditional groups that concur with the Battery Cage Agreement should be offended, as no organization vested HSUS with the power to negotiate on its behalf. As noted above, if HSUS is a “runaway” organization, it reflects a damaged movement as much as HSUS’ manifest lack of humility. Over two decades ago, I “indicted” the shelter industry for accepting the mass killing of healthy cats and dogs as an acceptable means of “controlling” overpopulation. Compounding matters, a quiescent animal rights movement sat silently on the sidelines while the barrels were filled with precious bodies. Once again, I feel that same shame, not only due to HSUS placing its imprimatur on such an agreement, but the acquiescence of the movement to the blatant usurping of power by a sister organization. Send a message to Congress opposing H.R. 3798 today, before it does irreparable damage to our extended family. If we fail to do so with efficacy and urgency, it will leave an indelible stain on the very fabric of this movement’s conscience. Some might see these criticisms as unfair, as why would HSUS negotiate such an agreement with endorsements from several organizations? Doubters can form their own opinions by going to HSUS’ website and reading, “An HSUS Report: Welfare Issues with Furnished Cages for Egg-Laying Hens” (if it hasn’t vanished!). (1) The abstract’s conclusion from HSUS’ own report follows: “While allowing for some natural behavior denied in conventional cages, furnished cages remain unable to adequately provide for an acceptable level of welfare for hens kept in commercial egg production.” If an agreement takes 18 years to implement and fails to “provide for an acceptable level of welfare,” is this the future for hens we want Congress to enact into law? (1) If the document should prove unavailable for any reason, try this location in our own servers, where we store background information. Good piece, Ed! I’ve been wondering where you’ve been. You do our movement proud. People should get a copy of the federal bill and study its implications carefully before it’s too late for the animals. Some horrendous precedents are being set, and the animals will suffer accordingly. Our movement HAS lost its way, in my opinion, as you have so cogently expressed. HSUS has done (and does) much good work. But they’re missed the mark on this one, I fear. I tried repeatedly to post our position statement on this question, without success. Thank you fort this article. This bill truly represents a shocking blow to the rights of voters AND to the future of egg laying hens. Clear-thinking animal advocates have taken to calling HR 3798 the Rotten Egg Bill–check out http://www.StopTheRottenEggBill.org, where you can sign the petition and email members of Congress through the site. Let’s send the message that animal protection laws and our voting rights are not to be traded away for the benefit of industry self-interest! In posting our response last summer to the agreement by HSUS and United Egg Producers, I don’t want to suggest that United Poultry Concerns opposes all efforts to impose reforms on an industry that otherwise has no accountability. I also do not believe it is right to do nothing to help animals who are in a condition they will never escape from, for the sake of a speculative future of Animal Liberation. At the same time, I dislike euphemisms that suggest a given reform will achieve more than it actually will at best. I dislike chumminess of a so-called animal protectionist with people who abuse animals for profit or for any other reason. I dislike praising people for killing their own animals instead of buying “factory-farm” products, and devaluing a vegetarian/vegan solution to the plight of farmed animals as a mere personal choice. —Karen Davis, President, United Poultry Concerns. A fuller statement clarifying UPC’s position is attached below. Replace barren battery cage over the next 15-18 years with “enriched” battery cages with slightly more space for the hens (ideally in some future fantasy up to one square foot for each caged hen) along with tiny perches and dustbathing areas; Prohibit forced molting of hens by food deprivation to manipulate egg production; Require egg cartons to inform shoppers of the housing system in which the hens who laid the eggs in those cartons lived, e.g. “eggs from caged hens,” “eggs from cage-free hens,” or “eggs from free-range hens”; Mandate “euthanasia” of “spent” hens (whatever that means in the context of agribusiness); Prohibit the sale of eggs and egg products that don’t meet these standards. For information about battery-caged hens including “enriched” cages and Proposition 2, see http://www.upc-online.org/battery_hens/. For information about forced molting and our 13 year campaign to eliminate the practice of starving hens for profit, see http://www.upc-online.org/molting/. As Humane Farming Association’s position against this “rotten egg bill” states, this legislation WILL provide cover for egg industries to continue their brutality toward millions of birds. It will decriminalize cruelty. As Mary Finelli stated above, big ag is opposed to ANY regulation or legislation that might result in even the tiniest decrease in their profits, now or decades from now. The focus of this welfare legislation (and all of the time and money being spent) is on cage specifications rather than on procedures and methods and avenues to expand what’s needed to get millions upon millions of brutalized hens OUT of cages. cages, as is being claimed by some. It’s not a perfect bill. An 18-year phase-in period is dismal. awful cages that exist now (which would be phased out by the bill). Kim Bartlett, President of Animal People, Inc.
3. How Prop 2 will be applied by state officials is still an undecided outcome. The industry—and its allies in the California government—are arguing that it means far less space than what this national standard would be. There’s a real question as to whether Prop 2 will be watered down by hostile state agricultural officials. It’s very far from given that Prop 2 will mean what we would hope. That should pains us—especially HSUS since it spent multiple millions on the campaign and the leaders you refer to devoted their lives to it. 4. As to setting a national space standard for space, it’s important to avoid the illusion that states are lining up to ban cages for laying hens. The vast majority of U.S. egg-laying hens live in states where we have no pathway to provide them with any legal protection whatsoever (i.e., there’s no ballot measure option and little political will among lawmakers in those states). If anything, these big egg production states (e.g., Iowa, Indiana, Minnesota, Pennsylvania, etc.) are more likely to ban investigations of factory farms rather than cages on factory farms. 5. While Prop 2 dealt only with a space standard for hens, the federal legislation will not only require more space but also other improvements to make it a more comprehensive policy for hen welfare. H.R. 3798 requires enrichments such as nests and perches so hens can engage in natural behaviors; bans inhumane practices such as forced starvation molting; prohibits excessive ammonia levels in henhouses; and establishes a national egg labeling program so consumers can have more information about where eggs come from in the marketplace (e.g., “eggs from caged hens” or “eggs from cage-free hens”). 6. This legislation offers the opportunity not just to help millions of birds in one state, but hundreds of millions of birds in all 50 states in one fell swoop, including big egg production states where we are very unlikely to be able to provide any relief at all for hens otherwise. Thank you for laying out HSUS position for HR 3798. It is good to have that argument as part of this discussion. I would like to address at least some of your points. Clearly from the comments posted here, several organizations do NOT, and I have heard that In Defense of Animals has asked to be removed. It is a big assumption that they are against the CONTENT of the bill or its “humane” leanings (by industry standards), rather than the precedent of national legislation. 3. How Prop 2 will be applied by state officials is still an undecided outcome. – Stops all state legislation and ballot initiatives. – Clarified the acceptable housing for California, Michigan, Ohio, Oregon, Washington and all other states. – HSUS accepts enriched colony housing. – HSUS would stop lawsuits and undercover farm videos of UEP and UEP members. – Allow eggs to continue flowing across state lines. – Time to use existing conventional cages. – Allows a phase-in schedule that avoids market disruptions. Never heard of BOYCOTTS, PICKETS, LETTER WRITING, and a hundred other ways that people make their will known to both business and legislators? Is the HSUS argument that HR3798 is “short cut” to “better” conditions? Really? 5. While Prop 2 dealt only with a space standard for hens, the federal legislation will not only require more space but also other improvements to make it a more comprehensive policy for hen welfare. It is my understanding that the other “improvements” – namely ammonia levels and euthanasia – are already being used by virtually all of the egg producers (because of consumer pressure), and that the AVMA guidelines are a low bar. 6. This legislation offers the opportunity not just to help millions of birds in one state, but hundreds of millions of birds in all 50 states in one fell swoop, including big egg production states where we are very unlikely to be able to provide any relief at all for hens otherwise. Further, the industry has 15-18 YEARS to get to this continued INHUMANE standard, and NO motivation to move beyond it. IF HSUS is putting its faith in the HOPE that the industry will move towards more humane practices on its own, that is pure speculation. It would be based upon the hope that CONSUMER pressure would make a difference (something already argued against in your comment) or MARKET DEMAND – which assumes in a permanently failing economy that consumers will be willing to pay more than a dollar more per dozen for cage-free or free range organic eggs. HSUS cannot argue FOR market and consumer forces in terms of moving PRACTICE beyond LEGISLATION, while arguing that the legislation is needed because there is NO OTHER WAY to improve the quality of life of hens in the industry. NOTE: Rowan Wolf is editor in chief of our sister publication, Cyrano’s Journal Today. Though I can certainly appreciate grounds for concern about HR 3798, I don’t find Mr. Duvin’s arguments for opposing HR 3798 compelling. He offers several reasons for opposing the legislation, but I think these reasons are flawed. 1. The HSUS is not really dedicated to animal protectionism but rather has sided with animal exploiters for the HSUS’ financial gain. Comment: Though Mr. Duvin himself acknowledges that the HSUS has done good work, this has been a major thrust of Bob Linden, Karen Davis, and other opponents of HR 3798. However, the HSUS has a long track record of efforts to improve animal welfare. Further, they have hired and placed in leadership positions some of the most talented and dedicated animal advocates, including Heidi Prescott, Paul Shapiro, and Josh Balk. Whether or not one believes that their strategies have been wise, I don’t think there is good reason to doubt their dedication to animal protectionism. Comment: I have no idea where Mr. Duvin got this idea. The HSUS has never been an animal-rights organization, and I see their forays into farmed animal issues during the years of Wayne Pacelle’s leadership as a bold break from their traditional focus on dogs and cats. Indeed, before Pacelle became President, meat was served at HSUS events. 3 If the legislation passes, the HSUS will cease undercover operations and efforts to further reform the egg industry for 18 years. Comment: This agreement is not binding on any other organizations, so I don’t see what the problem is. 4. The legislation is inadequate from an animal-welfare standpoint. Comment: This is an opinion, and before animal activists aim to undermine the legislation, they should take a close look at what it does and does not accomplish. To my reading, it falls far short of any reasonable notion of “humane” treatment. However, the changes are significant, such as the reduction in crowding. Can we reasonably hope to do more right now or in the near future (keeping in mind that by “we” in this context I’m thinking about the animal–protection movement without the help of the HSUS)? I am very doubtful. Mr. Duvin argues that this agreement terminates any chance for cage-free standards. There is nothing in the agreement that prohibits further improvements in animal welfare or other animal protection that might be promoted by other animal-protection organizations, industry, or Congress. Second, I don’t think it’s at all reasonable to expect improvements in federal standards of animal welfare to come at the behest of any other institution or organization other than the HSUS. Mr. Duvin objects that the HSUS proceeded with this initiative unilaterally, without the support of other organizations. I don’t know whether the HSUS sought feedback from PETA or from other, much smaller groups such as Mercy for Animals, Compassion Over Killing, United Poultry Concerns, etc. However, at the end of the day, for better or worse, the HSUS is uniquely positioned to work with UEP because of the HSUS’ size and financial clout. If people don’t like what kinds of programs the HSUS promotes, then they should invest their donations elsewhere. But this is what the HSUS has always done – working with various institutions that exploit animals to ameliorate the conditions under which the animals suffer. Mr. Duvin says that the legislation “mortgages our core principles to expediency.” This is not true. The legislation is an outgrowth of the HSUS’ focus on animal welfare and is not a manifestation “our core principles.” Rather, we’re really talking about the HSUS’ core principles. I don’t think the HSUS has mortgaged its principles to expediency – as best I can tell, this agreement is about the best that the HSUS can do given that they are going up against a multi-billion dollar industry that stands to lose a huge amount of money if intensive caging systems were abolished (and even more if their entire industry were rendered obsolete, as animal-rights proponents would like to see). Mr. Duvin says that if this legislation passes, “UEP has no further mandate or incentive to ever reach a cage-free end point.” The UEP has never had an mandate or incentive to reach a cage-free end point and has historically vigorously opposed all efforts to ameliorate hens’ conditions. Further, there could be incentives for the UEP to seek a cage-free end point if consumers and/or an effective animal protection movement gave them such incentives. Maybe someone can elucidate for me: what is the difference between compromise and concession, which Mr. Duvin says the HSUS has confused? I don’t see a difference, when it comes to legislation. I don’t see how this legislation will result in confinement of chickens “forever,” but this conviction seems central to his opposition of HR 3798. Any legislation – and even the articles of the Constitution – can be altered or revoked. The Beet-Eating Heeb quoted you in his most recent blog post about this egg issue. With all due respect Dr. Kaufman, I don’t understand much of your argument. You start off stating that you understand the concern over HR 3798, and then launch into a defense of HSUS – the only “negotiator” supposedly on the chicken’s side of this bill. 1. There is no argument in Mr. Duvin’s piece that I can see that argues that HSUS does not have a long history of good work on the part of animals – something you recognize yourself in your comment. That does not mean they are infallible, and the thrust of the argument is that on this particular agreement with UEP they have crafted legislation which flies in the face of their own studies regarding the inhumane nature of “enhanced” “enriched” “furnished” cages, some (including Mr. Duvin) feel they missed the mark significantly. Further, it is clear from UEP’s own promoting of this bill that they feel they have gotten the long end of the stick. 2. Your second point alludes me entirely. In the case of legislation at hand, we are discussing humane treatment – which in my understanding is a form of animal rights. Since when did humane treatment get separated from “rights?” Further, if you take a look at the HSUS logo, this fight for humane treatment (and indeed survival) is apparently extended to all kinds of species. On what philosophical planet is there a break between fighting for humane treatment and the right of creatures to be treated in a humane manner? 3. You argue that some other organization can take up the undercover work that HSS has done in the past. This too misses the point as HSUS has become the monolith organization in animal legislation and protection. They have more resources than any other organization in this arena. Yet this task, which requires resources and coverage that HSUS has at hand should be taken on by some other organization. Not that other organizations don’t also engage in these activities, it is just that few others have the clout to bring it to the public; nor the resources to fight back legally against the mega egg producers or the UEP. 4. Sir, the inadequacy of this legislation is even acknowledged by HSUS. Their argument is that it is a “step in the right direction” and “the best they could get.” This does not sound like even HSUS feels this is a huge win for the hens. They HOPE that things will improve on their own beyond the requirements of the legislation. Can we do better right now? Possibly. If HSUS had used its considerable clout and “microphones” to expose the conditions of hens and pushed for responsible free range production, that might have moved things along. If they had encouraged local free range production rather than supporting the agribusiness corporate egg production? Yes there might have been a better outcome than 15-18 years to get 1 square foot of space per hen. You state: “There is nothing in the agreement that prohibits further improvements in animal welfare or other animal protection that might be promoted by other animal-protection organizations, industry, or Congress.” The UEP certainly sees this as an end point forestalling any further demands. You state: “Second, I don’t think it’s at all reasonable to expect improvements in federal standards of animal welfare to come at the behest of any other institution or organization other than the HSUS.” Exactly, and HSUS has taken itself off the field as regards this issue through their agreement with UEP. You argue essentially, that HSUS is monolithic, and therefore “uniquely positioned to work with UEP.” And that is the basis of much of the argument. Does HSUS (because of its size and eating up – sorry, merging of other animal organizations) have a responsibility to try to get other organizations on board? Does it have the right – because of its size – to unilaterally act on this scale? I guess that is a matter of opinion. I would hope they have the humility to recognize that they are one player on the field – not the whole team. The first part of your argument is reversed by the second part of your argument. HSUS sponsored its own study that concluded that the cages it has now agreed to to the UEP are inhumane. The first H in HSUS stands for “humane.” They have made an agreement which by their own standards is inhumane. If one agrees to something that one thinks is wrong, then one has either given into “expediency” or one had given their concession that they have lost. You state: “Second, I don’t think it’s at all reasonable to expect improvements in federal standards of animal welfare to come at the behest of any other institution or organization other than the HSUS.” Unfortunately, this bill is based on an agreement that HSUS – the organization you argue is “uniquely positioned” – to leave the field of play permanently. Dr. Kaufman, even you acknowledge that this is HSUS fight – but they agreed to quit fighting on this issue. 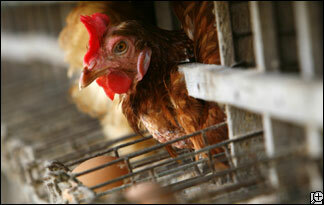 Therefore, the future for hens looks encaged within the parameters of this bill. Ms. Wolf makes some most illuminating comments. The following might help elucidate the situation further. HSUS is adept at fundraising, but not attracting members. Despite their claims of 11 million members, the true number is 450,000 (Page 2 of their 2010 IRS forms, available in seconds at “990 Finder.”) HSUS’s 11 million member lie is repeated daily to ensure Pacelle’s leadership position and political standing. That doesn’t make it true. HSUS isn’t the largest group in terms of membership, but it is the richest and biggest in terms of staff (600 or so). Despite the money and staff, HSUS is more concerned with enriching itself than helping animals. They have actively sabotaged No-Kill legislation and continue to do so. HSUS spends at least 50% of its revenue on fundraising-related activities, and much of the rest on frivolous programs like the Genesis Awards, a Beverly Hills gala to reward celebrities and the media for promoting animal issues – and HSUS. HSUS lawyers attack – and sue – anyone who criticizes and exposes them. They destroyed the career of an award-winning TV investigative reporter who exposed “Where Humane Society Donations Really Go”. Pacelle’s battle with the Humane Farming Association is deceptive and ugly. Pacelle wants money and power, and has always lacked a moral compass. There is an enormous gap between what HSUS claims to have done and the reality of their many failures, tactical mistakes, fundraising investigations (including Hurricane Katrina) and poor reputation among other animal welfare groups. By the way, Wayne may have consolidated power through mergers, but these are corporate acquisitions, not true nonprofit mergers. Doris Day Animal League and the Fund for Animals continue to fundraise separately, for the same projects and sanctuaries that HSUS raises money for. Interestingly, HSUS merged with the Association of Veterinarians for Animal Rights, whose co-founder is one of the most vocal critics of the UEP-HSUS deal.